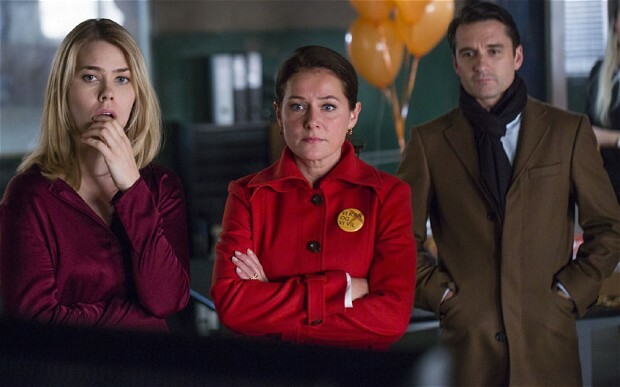 The TV series Borgen is a rich source of material for the Paula Principle. We’ve just finished watching the first series (yes, I know, behind the times). Its principal character, Birgitte Nyborg, is leader of the Moderate party going into the Danish elections. She is married to an economics lecturer, with two school-age children, and one recurrent theme is her struggle to get home in time to see the children (and her husband). One episode illustrates in a fleeting moment the imposter syndrome – the tendency of women (more than men) to think that they are not qualified to have got to where they are. On the eve of the election the candidates all appear in a TV debate. Brigitte suddenly discards her spin doctor’s speech and speaks from the heart, beginning with the admission that she could not get into her dress because she had put on weight. “We are who we are,” she says, “and must live up to our mistakes”. She then gives a barnstorming speech about inequalities. This propels her party to a big success in the elections. The day after the election Bent, her trusty and experienced adviser, tells her that her party is just waiting for her to take them on to a prominent position in the new coalition: “Now go in there and thank them – and lead them,” he says as they walk down the corridor on their way to a triumphant party reception. Birgitte stiffens and says, to herself more than to Bent: “But what if I don’t know how to do it?” She then walks in to greet the cheering members, and eventually becomes Prime Minister. But that flash of the Imposter Syndrome is a recurring underlying motif as she takes on her new role; we are subtly aware of the constant challenges that Birgitte faces internally, as well as from the shark-infested waters around her. Subsequent episodes show her toughening up, losing her vulnerability and becoming plus male que les males. There’s another illustration for the PP: Birgitte exhibits convergence on to the male norm. She issues orders with increasing authority, which shades into ruthlessness (even faithful Bent gets the chop). She ends up a lonely figure, though still in power. The final episode does a pretty strong line in Danish gloom, but it’s compelling stuff. I might even go on to the second series.